On Friday we got a sitter for the Little Man and headed over to Playclothes Vintage Fashion for the monthly ADSLA Cocktails in Historic Places. As this month’s CHP was at Playclothes, I had to indulge in a little shopping. Unfortunately, nothing caught my eye, perhaps because I had scored a few choice items just a few weeks earlier. But Hubby Dearest got a straw boater which was quite fetching. 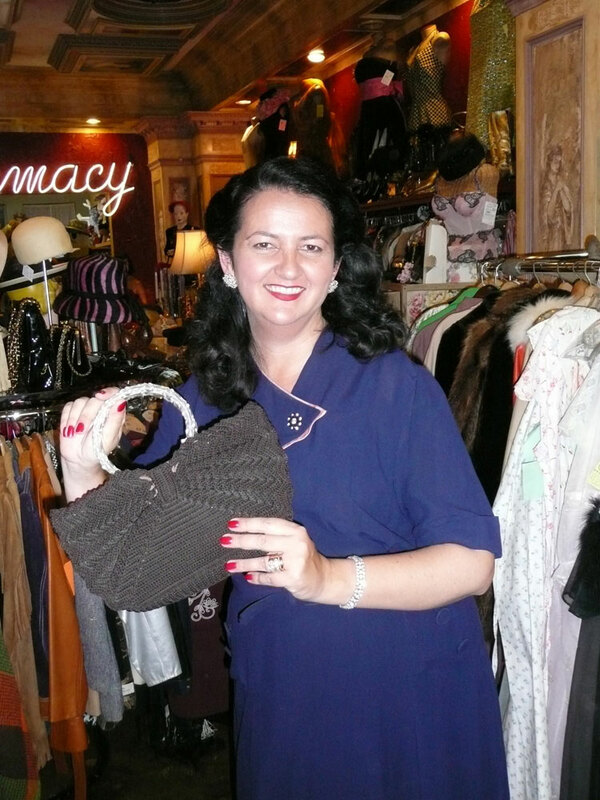 It will be perfect for the Queen Mary Art Deco Fest in September. We had fun chatting with folks and getting ideas. Unfortunately, it is tough finding things in my size. 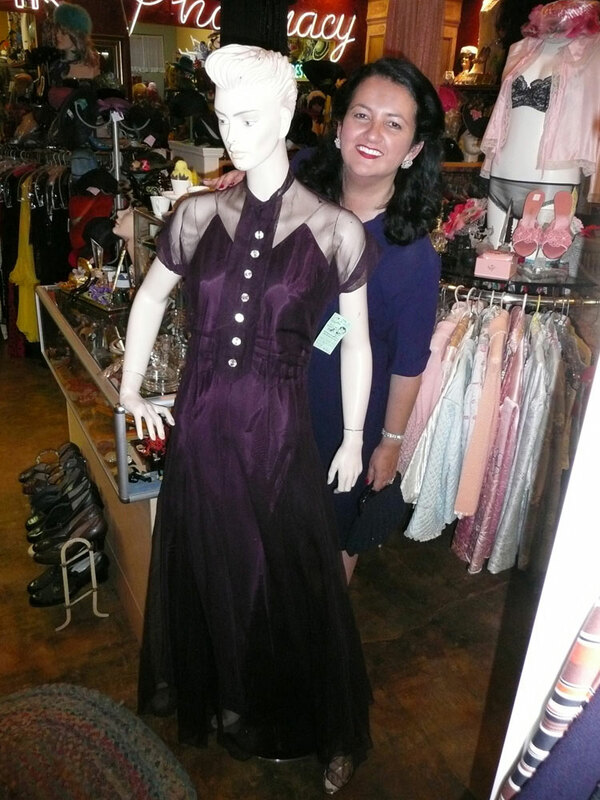 The mannequin I’m standing next to shows an example of how I often feel in vintage clothing stores – like I’m a giant next to these dinky-waisted gowns! Oh well, I’m working on it. I love these crochet purses. I’m building up a collection of them. 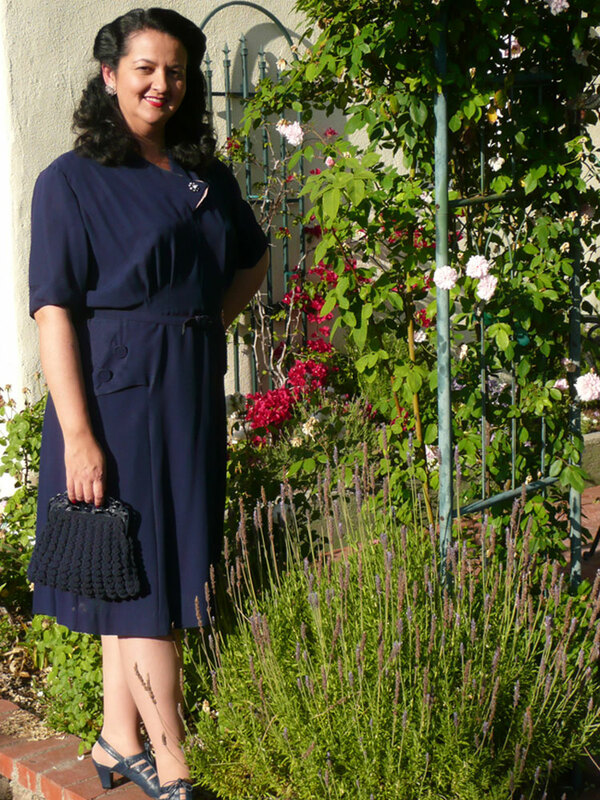 I wore a ‘40s frock purchased from Etsy from Pretty Damn Cute. Bag is ‘30s from Vintage Stew on Etsy and shoes are Remix. It was a rare weeknight of play for us. Can’t wait for the next.